This is the ultimate creamy raw chocolate experience! Our Creamy Coconut Mylk Chocolate captures the flavour and smoothness of milk chocolate, without using any dairy. 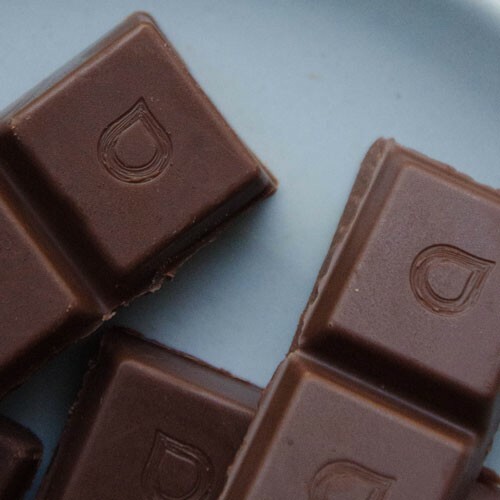 It’s surprising to note that this chocolate bar is the result of only two plants – the coconut palm tree and cacao. 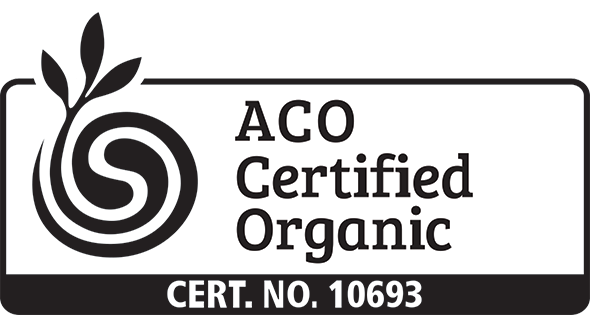 Keeping the ingredients simple and close to their natural state is key to the unique quality of our chocolate. We’ve always believed that Coconut and Cacao is the perfect marriage – the creaminess of the coconut compliments the rich flavours of cacao beautifully. We’ve played with the subtle balance of this pair to create a new flavour, lighter in cacao content compared to our popular Coconut Mylk Chocolate, one which we could only describe as ‘creamy’! Please Note: During the warmer months our chocolate can sometimes melt in transit. 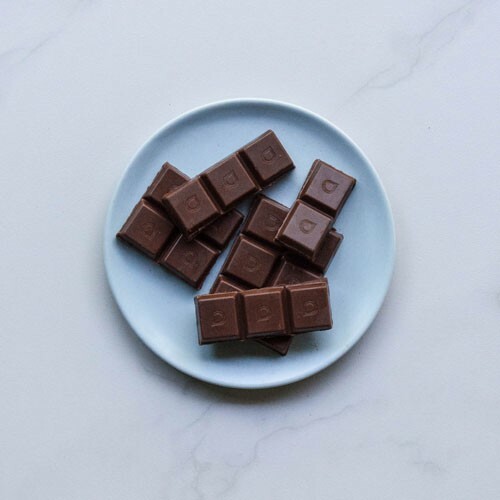 There is an increased chance of this in the case of our Coconut Mylk Chocolate since it includes whole coconut flesh, which contain healthy oils with a low melting point. Please click here for more info on how to best avoid this when ordering and storing your chocolate. Two to three squares of our Creamy Coconut Mylk Chocolate makes for a luxurious and decadent experience. You can also melt and add as a topping to ice cream and desserts or use in baking too. Creamy Coconut Mylk Chocolate melts at a lower temperature than our other chocolate due to its healthy coconut fat content, which has a lower melting point than Cacao Butter. Therefore, it's best to store it in the fridge to get that crunchy snap. If it melts it's still fine. In fact, some people love it that way. Cacao pods are harvested from the trees and cracked open. The beans are then taken out and fermented. The level of fermentation affects the flavour; we do a low fermentation at approximately 45°C. At this lower temperature, the structure of the nutrients is preserved. Afterwards, the beans are dried in large commercial dehydrators at controlled temperatures, before being winnowed into nibs, whereby the skin is removed. The nibs are ground and pressed to create the Raw Cacao Powder and Raw Cacao Butter.